Tours last anywhere from 2 - 6 hours depending on chosen route. 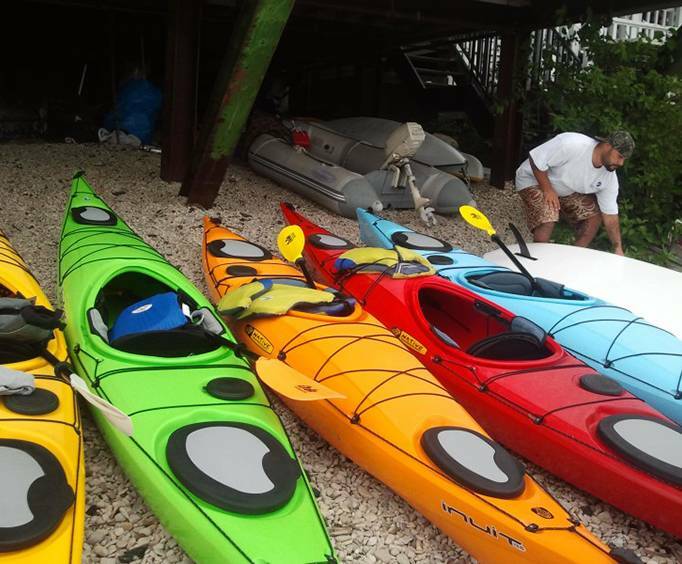 To get out and experience some of the wonderful outdoors in Mackinac Island, MI, embark upon one of the Great Turtle Kayak Tours. With a variety of tour options available, it's easy to fit one of these adventures onto your Mackinac Island itinerary. The best part about the journey is that guests can choose their own routes or choose to go with the flow. Wherever your heart desires to take you, the Great Turtle Kayak Tours crew is sure to make your experience great. The sunrise tour is the very first tour offered. Tour Arch Rock & The Rock Maze on this fantastic journey. Or, if you want to experience a sunset instead, you'll be able to see the breathtaking sights of Devil's Kitchen. This trip is approximately 2 hours. 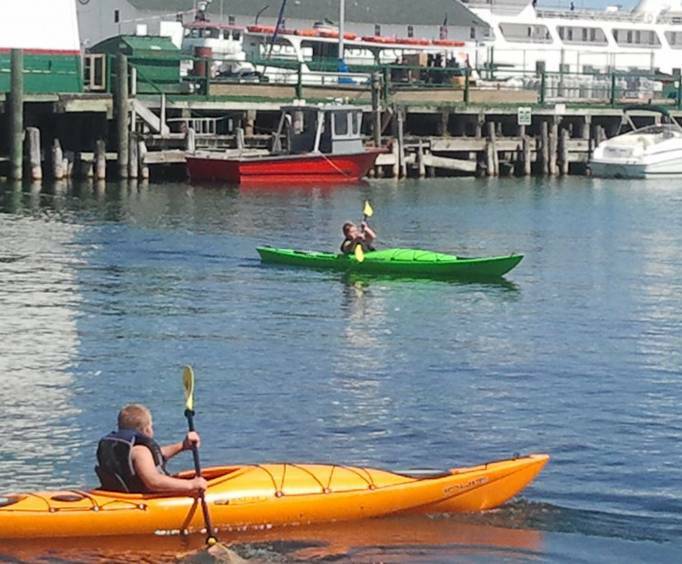 With this option, guests can paddle along the Mackinac Island Harbor. Get a glimpse of the many docks and boats that call the area home and see landmarks such as lighthouses and freighters on the move. This route takes about 30 - 60 minutes and is great for beginners. Explore the Straits and the East break wall where you'll be able to get beautiful views of Arch Rock. While you paddle along, you'll graze over underwater caves of the Rock Maze. Guests who wish to participate can also snorkel in the area. This tour lasts approximately 1 - 2 hours. 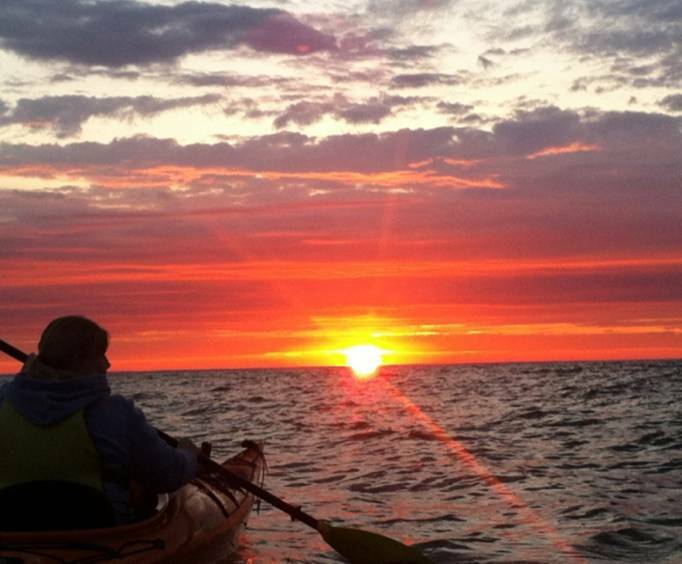 This kayak tour includes views of areas such as Devil's Kitchen, Mackinac Bridge, Mackinac Island Lighthouse, Round Island Lighthouse, and the West Bluff. The tour lasts approximately 1 - 2 hours and is great for beginners. This challenging 3-hour guided route is great for those who wish to put their skills to the test. You'll paddle all the way across the Straits to an isolated area known as Round Island. You'll be able to see the famous lighthouse, see raw island wildlife, bird watch, and more. This 2 - 5 hour adventure takes guests along the Straits to visit Bois Blanc Island where they can explore the beautiful forests and beaches. Whether you make a day trip out of it or even choose to camp out there, you're bound to have an amazing time. Another advanced route, this 4 - 6 hour trip will take guests all the way around Mackinac Island. See places like the Mackinac Bridge, Mackinac Island Lighthouse, and Round Island Lighthouse. With single, tandem, and SUPs available on these journeys, guests are sure to have the time of their lives. It is the perfect blend of adventure and sightseeing, so don't miss out on it the next time you visit Mackinac Island!